Earlier this week I visited with the Bath & West Innovation Centre, an agri-tech and food innovation centre located at the Royal Bath & West Showgrounds. Best known as the location for hosting England’s only four day Royal Show, the Bath & West Innovation Centre supports agricultural business (including micro food and drink companies) and provides land-based skills training. The site includes a commercial test kitchen for young food businesses to explore scaling-up their business. The Development Kitchen was opened in June 2018 and was the last project of the Society’s transformation utilising its old office space. I met with Emma Corr, Innovation Manager, and a group of food and beverage network enthusiasts of varying ages. I found myself thinking that I could be in Australia somewhere in the agribusiness space as the conversations were similar ... market forces (ie retailer competition), product positioning, sustainability, and the future of work. 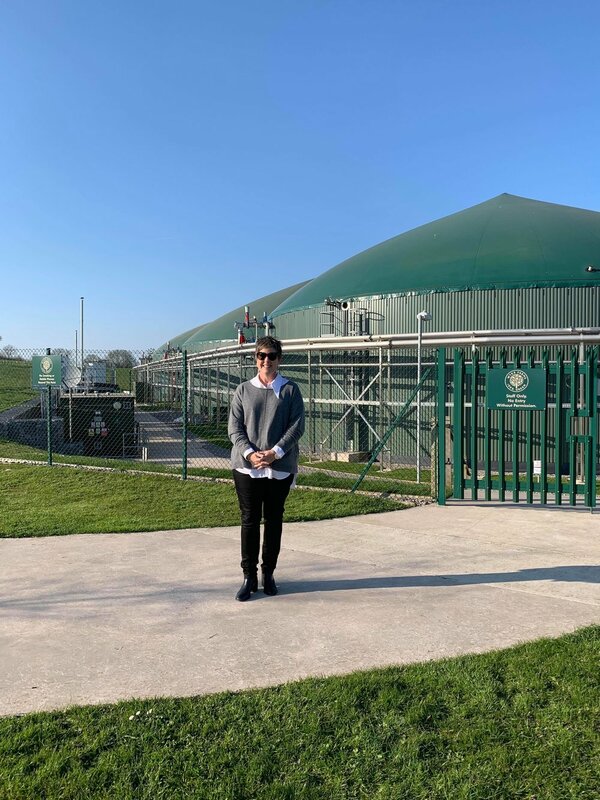 With this group, we visited Wyke Farms Sustainable Energy Centre which is an impressive operation of 6 anaerobic digesters taking in waste from across the region and turning it into gas and electricity. Outputs from the operation were then made available to farmers as an alternative to chemical fertilisers. One of the retired farmers in the Network group had set up a small digester in the late 1980s and had the largest of its type on a rural UK property at the time (much smaller than the digesters we were seeing). He indicated to me that he had to pay to receive some of the waste items he needed for his digester but saw the payback in less expensive inputs for his own farm. This reminded me that a lot of innovation is not new - it can simply be that “right time/right place/right scale” from an old idea is the right solution for you. Allison Clark outside Wyke Farms Sustainable Energy Centre in England.